Are you concerned about the toxic chemicals in most lice treatments? So is The Lice Place! That’s why our owner and founder, and also a registered nurse dedicated much time and effort into developing products and services that are all-natural and don’t contain the harmful toxins most people have come to expect. • TLC Shampoo has a specially designed formula made from Neem Oil and peppermint. It aids in protecting from potential lice invasion and is sulfate-free. It’s safe for sensitive scalps and perfect for daily use. • TLC Mousse is available in two sizes, 4 and 8 ounce. The pesticide-free enzyme mixture breaks down nit glue. This allows the TLC Terminator Comb to easily remove lice and their eggs (nits). • TLC Conditioner, when used with TLC Shampoo, aids in repelling lice. Made with essential oils, it does an excellent job in untangling and leaves hair soft and shiny. • TLC Terminator Comb has a lifetime guarantee. Its exclusive design allows it to reach under every nit for easier removal. • TLC Mint Spray is also available in 4 and 8 ounce bottles. The natural products in the spray repel lice but not humans! By misting daily with the pleasant peppermint scent, you’ll send lice elsewhere. • Lice Removal Kit #1 includes 1 Mousse, 1 Comb and 1 – 8 ounce bottle of Mint Spray. • Lice Removal Kit #2 contains 1 Mousse, 1 Comb and 2 bottles of Mint Spray (1 – 8 ounce and 1 – 4 ounce). 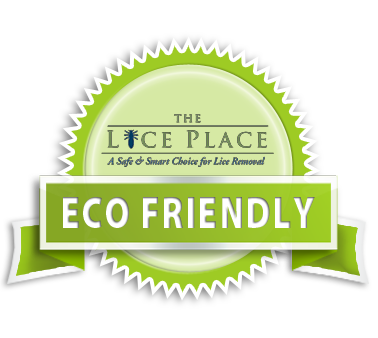 Purchase your Austin Lice Treatment Products from The Lice Place for safe, non-chemical treatment of an otherwise difficult problem. Our products are safe, effective, and affordable.